Today’s Thankful Thursday layout is a layout that shows my Mom enjoying life. I am so thankful for a Mom who embraces life; always tries to find the positives; and absolutely loves people. 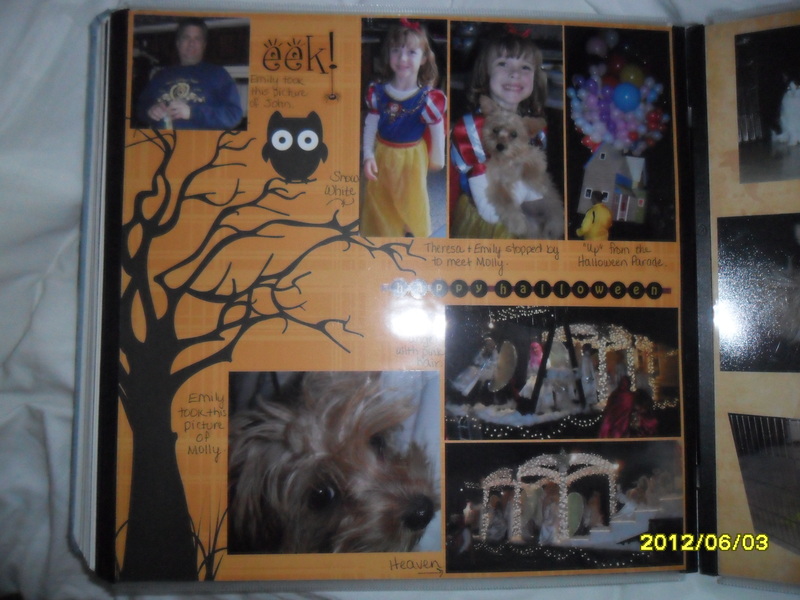 For this layout, I really wanted to use this great CM designer paper; but also didn’t want to cover up the spooky tree. Was I going to be able to fit 7 pictures on one page? 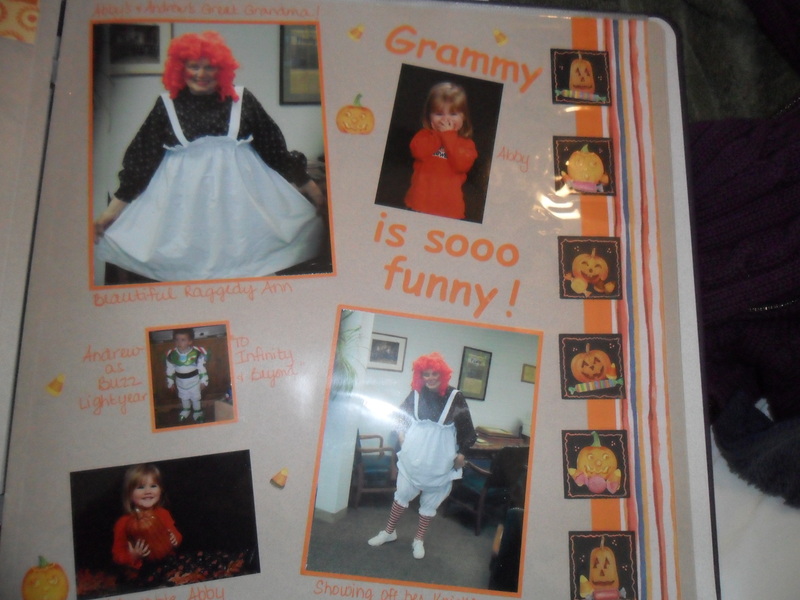 I also didn’t want to have more than one page devoted to Halloween in my book. Cropping photos – even the tiniest amount, can really help more than you realize. The pictures of my friend Theresa’s daughter, Emily, were so sweet I wanted them all on the page. She loved meeting Molly – we’d only had Molly about a week at this point – and of course Molly looks adorable as well. The close up of Molly is a pic that Emily took. Lower right is the annual Rutland Halloween Parade, and my friend Lori is an angel on the float. Her family – the Fabian family of West Rutland – always make fantastic floats, and usually win Best in Show. The upper left photo is a pic that Emily took of John. A cute layout, just showing that you can fit a bunch of photos on one page – and still not cover up the parts of the paper that you love.